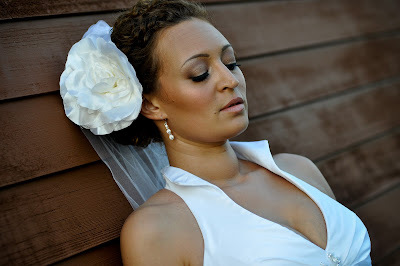 I recently collaborated on an article with a colleague of mine, Erica Pitera of Borrowed and Bleu and provided my opinion on how a bride should look on her wedding day. I’ve always said that you should be you and your wedding day should be no different. If you’re bold and sassy and used to wearing bold and sassy make-up, then you may want to wear something a little sassy on your wedding day too. Maybe your outfit is more extravagant than most and you want your make-up to match. However, if you’re more subtle and natural, then doing something a bit more natural and following your natural hues is more you on your wedding day. You definitely want to look like yourself but a bit more polished and put together. If you’re like me, you don’t wear a lot of make-up and surely don’t want to walk down the aisle looking like someone else! Whether you’re hiring a professional make-up artist or not, you want to have a clear idea of what you’re going to look like on your wedding day in your full outfit. Have a practice run so you know what to expect and you won’t have any unnecessary surprises on your wedding day.